Click on a thumbnail below for a larger view or click here for a detailed view of Clare's work. Clare studied Fine Art Painting at Wimbledon School of Art in the late 1980s. She had a successful career as a Head of Art and now works as a full-time artist from her studio in Cambridge. 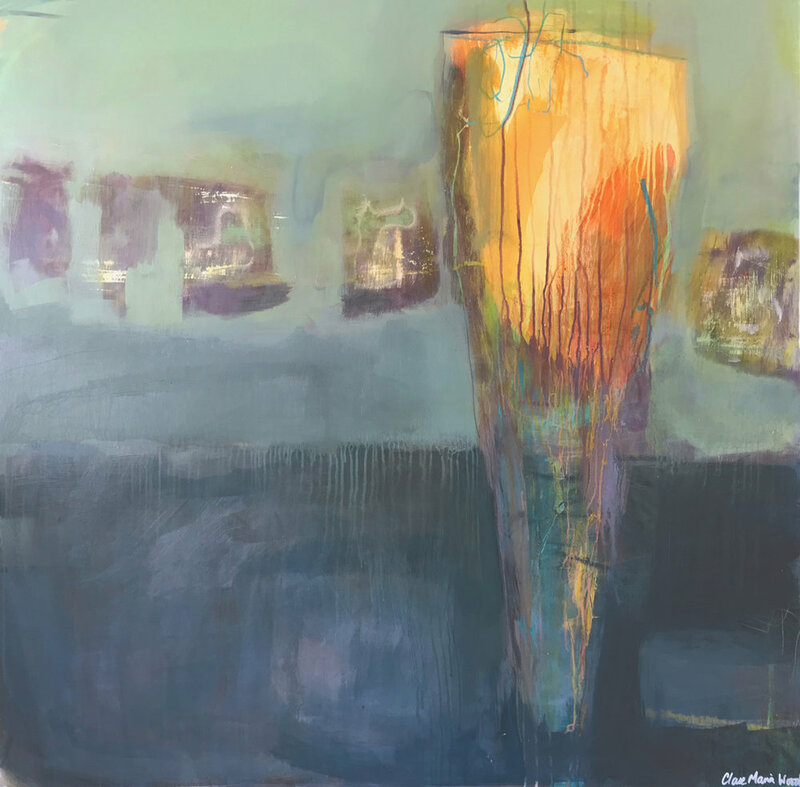 She exhibits throughout the UK in galleries and selected exhibitions and her work is held in numerous private collections. 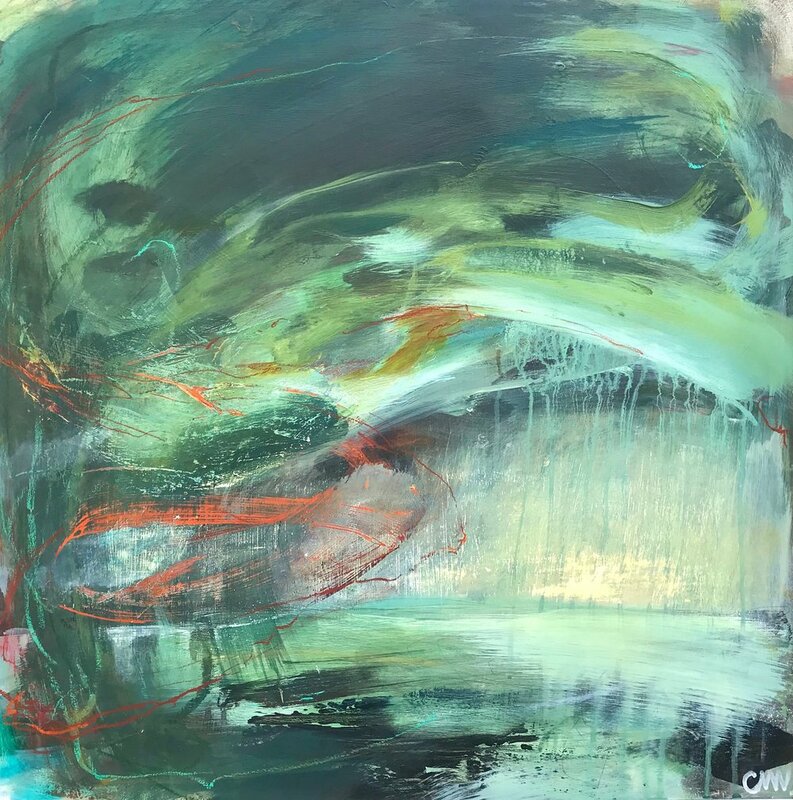 Clare’s abstract landscapes are her expression of ‘place’, which range from journeys around the craggy Cornish coast, rugged North Yorkshire Moors – where she was brought up – and the open-skied Cambridgeshire Fens. 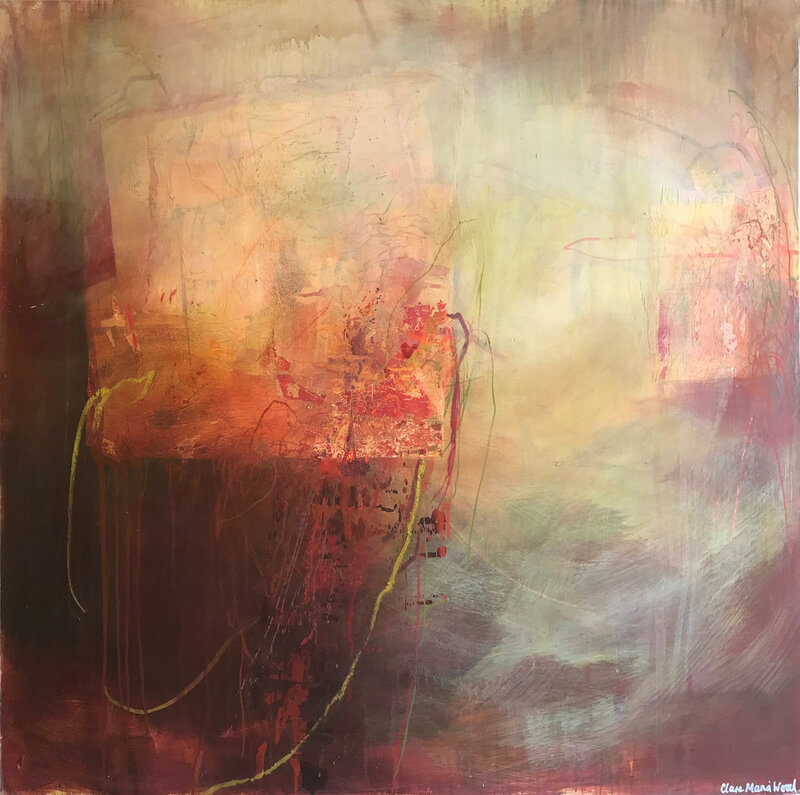 Her recent ‘Woodland’ and ‘Garden’ series have been inspired by local beech woods and their shifting appearance throughout the seasons. 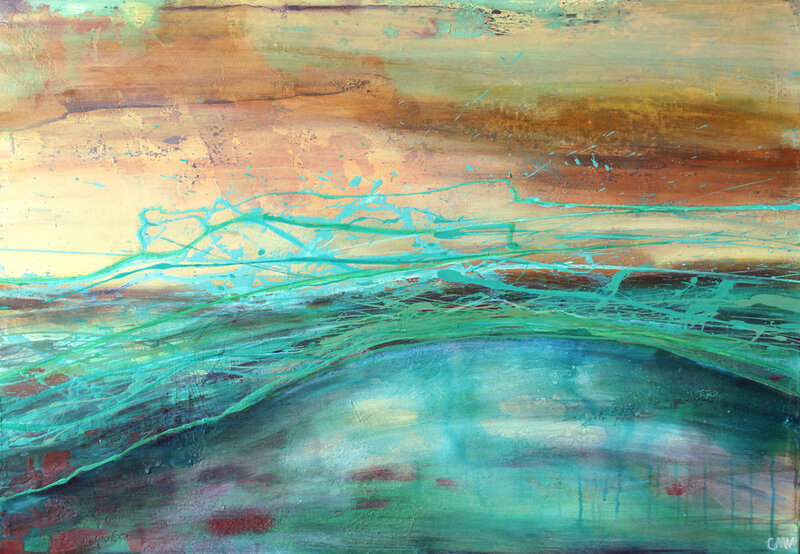 Her finished pieces evoke the energy of a living, breathing landscape. Each day starts with a dog walk at dawn, which awakens that connection with her surroundings. What really excites her is the ephemeral nature of the woodland so early in the morning. The glowing sunrise and copper leaves glimpsed fleetingly between the static beech wood trunks are framed, just for a moment, before changing again. 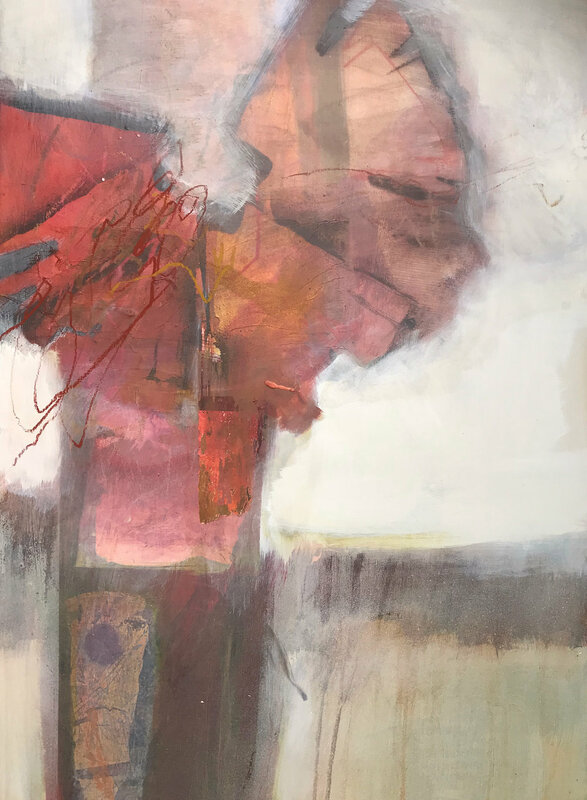 Back in the studio she works intuitively to begin with, usually on several pieces at the same time, which allows her to see what is working and expand on ideas. 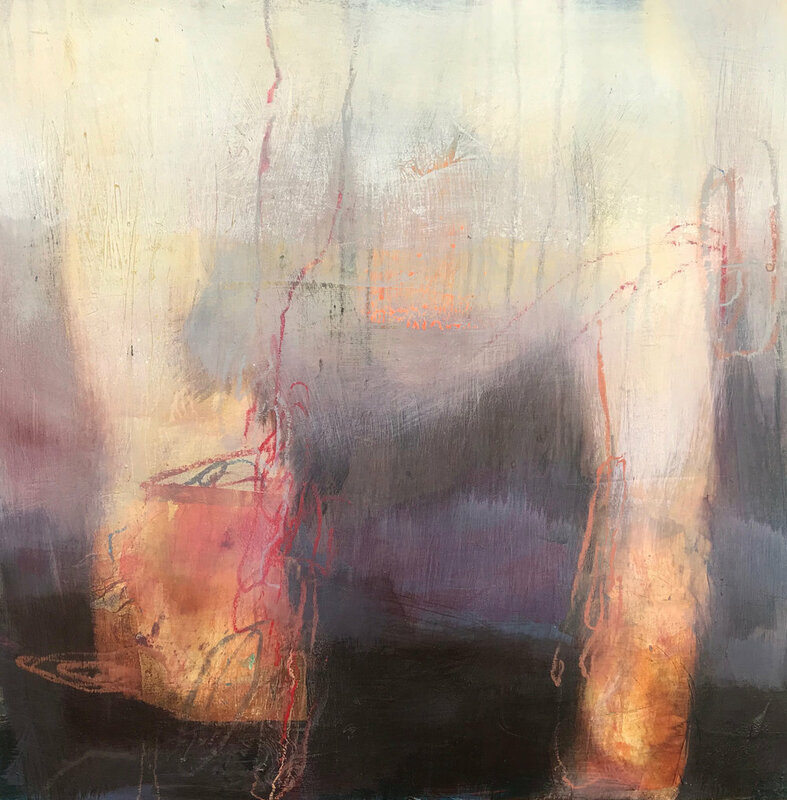 She builds layers of paint, drawn marks and collage and scrapes back into the surface to reveal flashes of previous marks and colours, allowing the history of each piece to take centre stage. 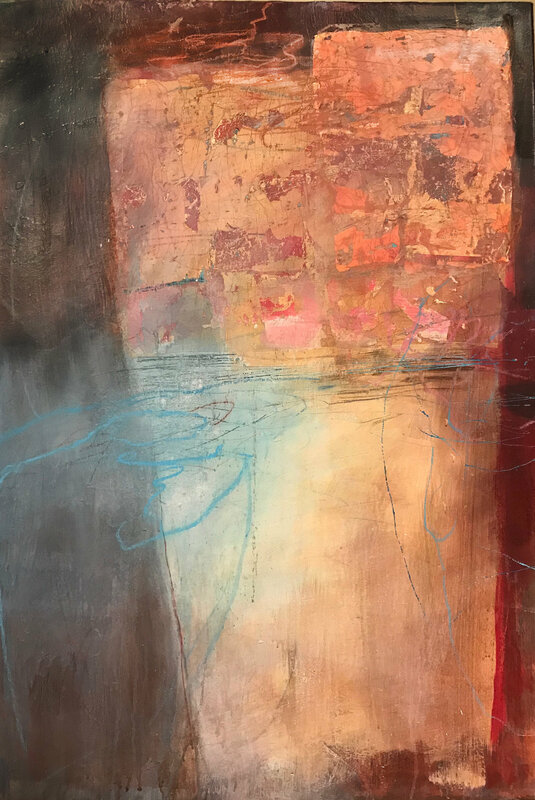 As paintings develop she then takes a more critical approach, refining and resolving areas while striving to keep the energy of the initial marks. 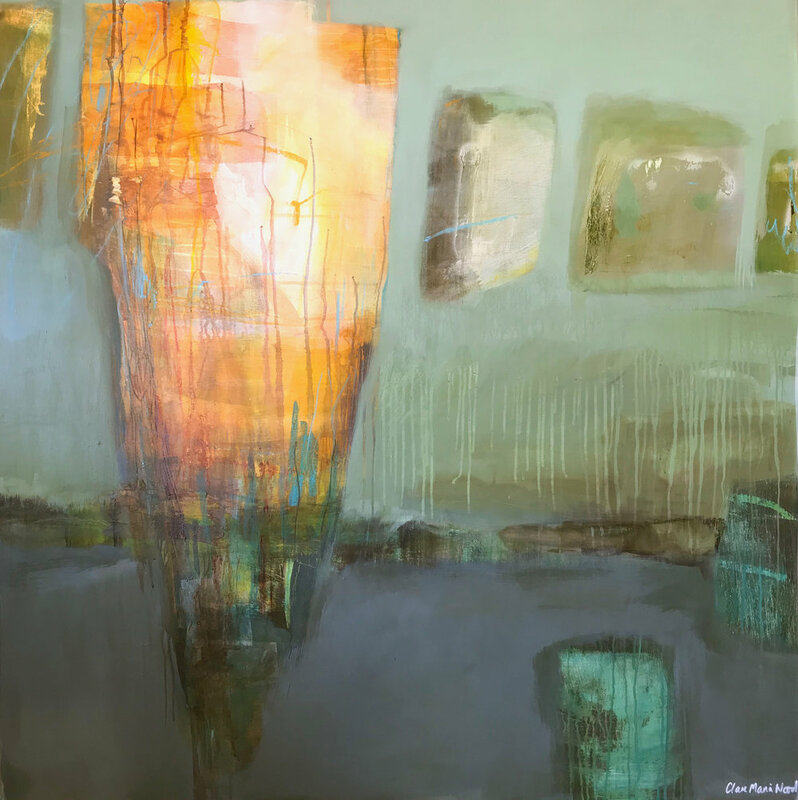 The process behind Clare Maria Wood's abstract paintings.